From PMO to P.O.O. … ? Nowadays, in the Netherlands, we see more and more organizations working with Agile Scrum or other Agile ways, leading to increased number of full Agile Transformations. And, over the past couple of months, discussions on the Agile Way of Working and PMO have increased exponentially. So, questions concerning the role of project management, program management and PMO have surfaced time and again. 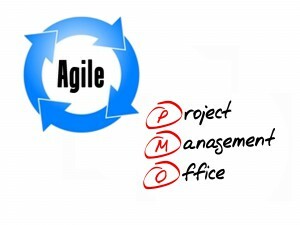 As per the definition of PMO, Project Program or Portfolio Management Office, one cannot run an Agile environment without Project and Program managers. On the internet, you can read a lot of articles on this topic, written by both supporters and non-supporters of PMO, but very few, actually, talk about real experiences. In this article, I’d like to share my experience with respect to PMO-work in an Agile environment. PMO is all about doing the right things, in the right way. Theories about PMO do not state or claim to know what the right way is. PMOs support and facilitate the structure and way-of-work that are best suitable for the organization. Originally, organizations were very project-based. However, over the past few years, they have moved toward becoming product-focused and eventually, business value-focused. Adding value to business is the ultimate goal of a PMO! That’s what we’re here for. Most of the work is also being tackled within the scrum teams or tribes. To be quite honest, I am very happy with this progression. Now the activities, risks, lessons learned are being owned, registered and felt by those who deal with them every day. That only improves quality and it makes no sense whatsoever to include a PM Officer in this process. This doesn’t mean there is no role for PMO. Experience has taught us that an officer is very much needed by the product owner. Therefore, not a PMO (due to lack of a PM), but a P.O.O. – Product Owner Office is needed. Supplying information to senior management: Guard your teams and guide you Senior Management in the new way of management! Managing cumulative knowledge: Best Practices for your organization, spread across the organization and over teams and tribes. Translating the results to the auditors. Supporting and facilitating the Product Owner in the vast amount of work he/she has. Our biggest eye-opener and issue was the third category. Even when you have transformed your whole organization into Agile way of working and thinking, with focus on quality without investing too much time and money, your external auditors most likely are yet to do so. Most companies will still have departments working in non-Agile ways. Auditors want to compare everything in the same format. The last thing you need is the PO or the teams to invest time in translating your product backlog into a traditional business case; or have the PO spend all his/her time figuring out the financial details. These are the tasks that the P.O.O. can and should take on. This article was previously published at SogetiLabs Blog. 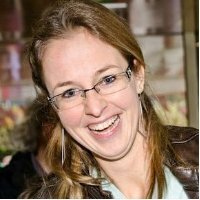 Sandra Rijswijk (@SandraRijswijk) is currently working as manager of Sogeti PMO. She has been working for Sogeti since 2008. She worked for several customers in several industries in roles as Information Security Officer, Delivery Manager and PMO-Consultant and Program Officer. More on Sandra.